To celebrate a year since my first re-engagement with Smashwords and ebook publishing, I’ve updated my dieselpunk story “Deadstick”. It’s got a new cover, and is combined with my steam/diesel-punk story “How Do You Like These Heights”. Combined with that, it’s also available as a print book. And a new blurb to go with that. I’ve been working on upgrading my blurbs to be a little more punchy. How’s this? Hank’s scorching across the California sky in a race to save his son. 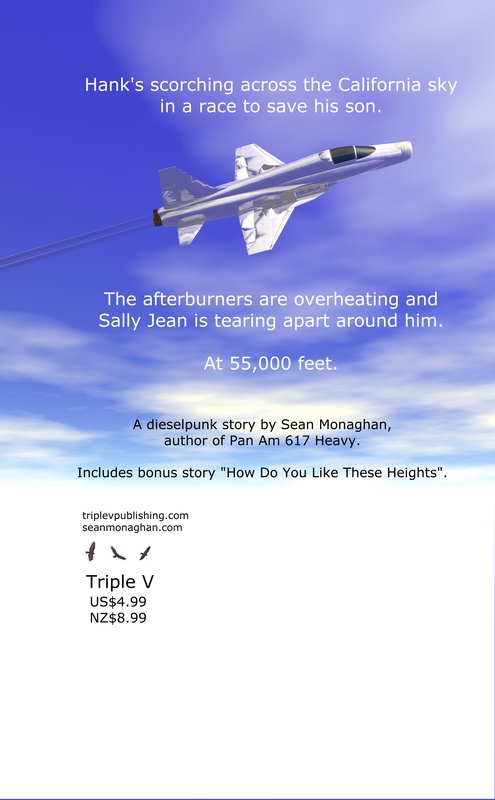 The afterburners are overheating and Sally Jean is tearing apart around him. At 55,000 feet. 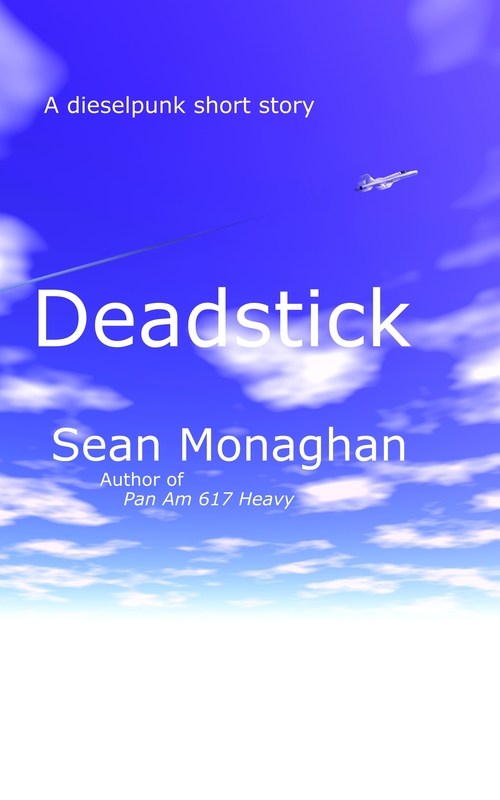 A dieselpunk story by Sean Monaghan, author of Pan Am 617 Heavy. Includes bonus story “How Do You Like These Heights”. Nook (looks like the old version today – hopefully they’ll update soon. This entry was posted in fiction and tagged action, adventure, amazon, bonus story, dieselpunk, ebook, literature, print book, science fiction, short stories, static movement on 19 October, 2012 by Sean Monaghan.